Near the end of the WNED-TV original production “Reimagining a Buffalo Landmark,” the focus is on a 2017 celebration of the first phase of the rehabilitation of the Richardson Olmsted Campus that was expected to attract 5,000 people. The Buffalo Philharmonic Orchestra performed, there was a light show, and the celebration ended up attracting 15,000 people to the grounds. They not only saw the light show, but they also were enlightened to the history of treating mental illness and of the 150-year history of the campus on Elmwood Avenue that was originally called the Buffalo State Asylum for the Insane. “Reimagining a Buffalo Landmark” is beautifully shot and compellingly hosted by Kevin Leary, a local actor who is the managing director of the Theater of Youth. 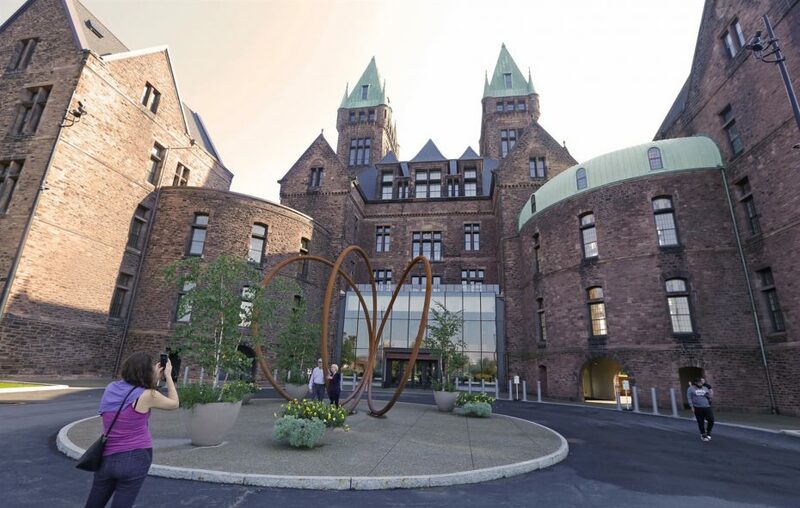 It celebrates the buildings designed by renowned architect Henry Hobson Richardson and grounds designed by Frederick Law Olmsted and Calvert Vaux and the efforts of Buffalo preservationists to save this National Historic Landmark after decades of being abandoned. With the help of preservationists, architects, docents, University at Buffalo professors, reporters and the public, “Reimaging” tells the story of how a community can band together to preserve and celebrate historic landmarks. Monica Pellegrino Faix, the former executive director of the Richardson Center Corp., is one of the most quotable and thoughtful in numerous appearances throughout the film. In the beginning, Leary explains the original purpose of the campus was to adhere to the revolutionary philosophy of physician Thomas Story Kirkbride on how to treat people with mental illness. Fresh air, sunshine and exercise were three of his tenets, along with housing patients in small rooms so they wouldn’t just stay inside them. By the 1960s, the documentary explains, the treatment of mental illness had changed because of advances such as drug therapy, and facilities such as the one on Elmwood Avenue were no longer needed. It closed in 1974 and sat neglected for decades before numerous heroes worked to save what had become a National Historic Landmark. According to the documentary, chief among the heroes was late Buffalo News Publisher Stanford Lipsey, who fought for $100 million in state money (later reduced to $77 million) to rehabilitate the facility. The film also uses numerous articles written by current and past Buffalo News reporters to explain the history of a project that ended with the opening of Hotel Henry (named after Richardson) two years ago in three restored buildings. Anyone who has attended a wedding there or had a meal at the restaurant in the last two years can speak to the beauty of the restoration of buildings that had become eyesores in one of Buffalo’s best business and residential neighborhoods. 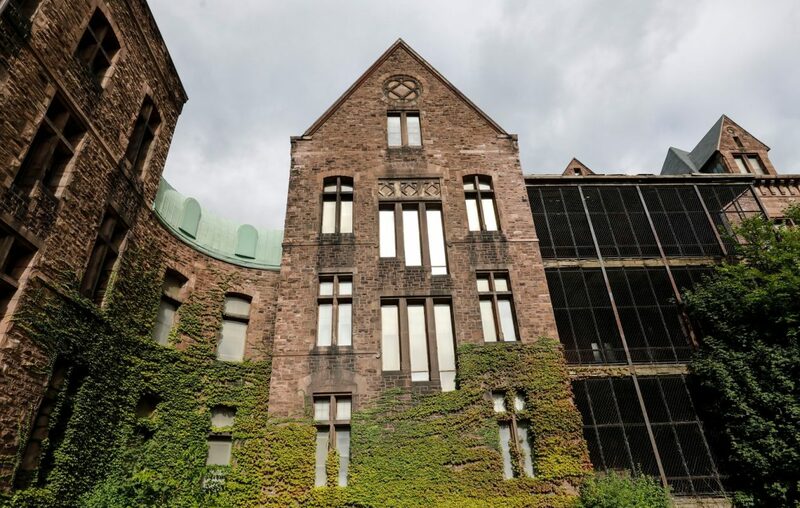 "Reimagining" is timely, arriving as the community is being asked again for input on what to do with the nine other neglected buildings on campus. This documentary makes it very clear how important input from the community has been and will continue to be. If you miss “Reimagining” on Friday, it is repeated multiple times in the next month, including at 4:30 a.m. and 6:30 p.m. Saturday and at 3:30 p.m. Sunday.